Hi. I'm Kate... and that handsome Ginger is my husband, Adam. 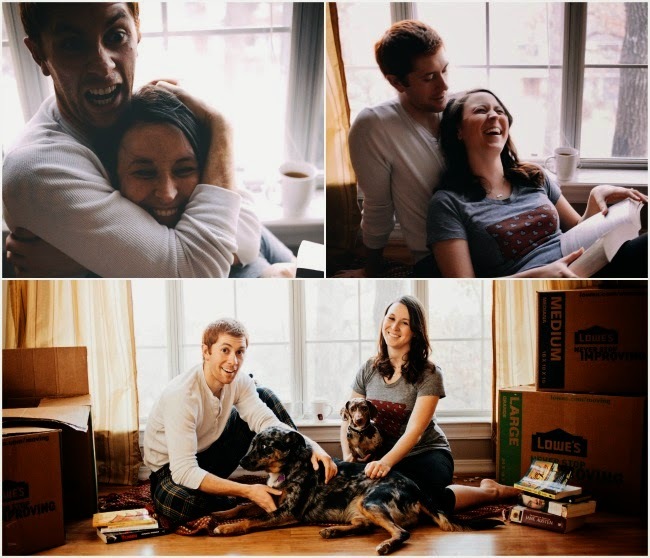 While Treans is off marrying her OWN handsome husband -- we're going to sort of hijack this blog for the week! No worries -- we have the express written permission of Treans! I'd thought we'd start off with some introductions since you have NO clue who we are. We're the "florkens." I'm a lawyer. Adam is a scientist. If our professions didn't clue you in, we are pretty much the coolest people around. And by coolest, I obviously mean dorkiest! I'm a Harry Potter freak; He digs comic books (particularly Daredevil). He drinks coffee; I drink tea. I am the laziest human being alive, and he is a workout nut! He watches everything he eats, and I live for cupcakes and margaritas. But being so different only makes life more interesting -- and trust me, it gets interesting around these parts! Hope you'll drop by our blog too -- take it for a spin, and maybe learn what the heck a "Florken" even is! We can't wait to meet you! And we can't wait to get to know you this week!